COME TO THE COVE WHERE SURF & TURF NEVER TASTED SO GOOD! Dine with us often and receive special discounts as an exclusive member! 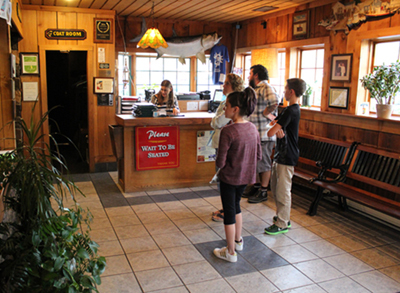 Founded in 1980, and still family-owned and operated, Smuggler’s Cove has been proud to serve loyal customers, visitors and residents of the Mount Pocono and Tannersville, PA communities for nearly 40 years. 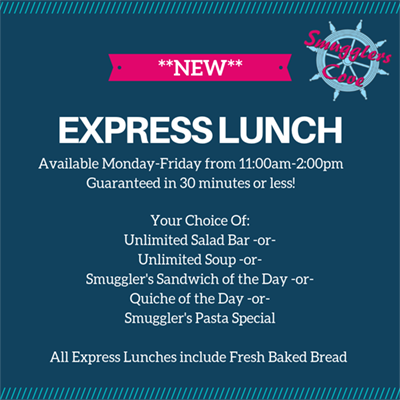 Your dining experience at Smuggler’s Cove in the Poconos is always a delicious, enjoyable time to remember with family and friends. 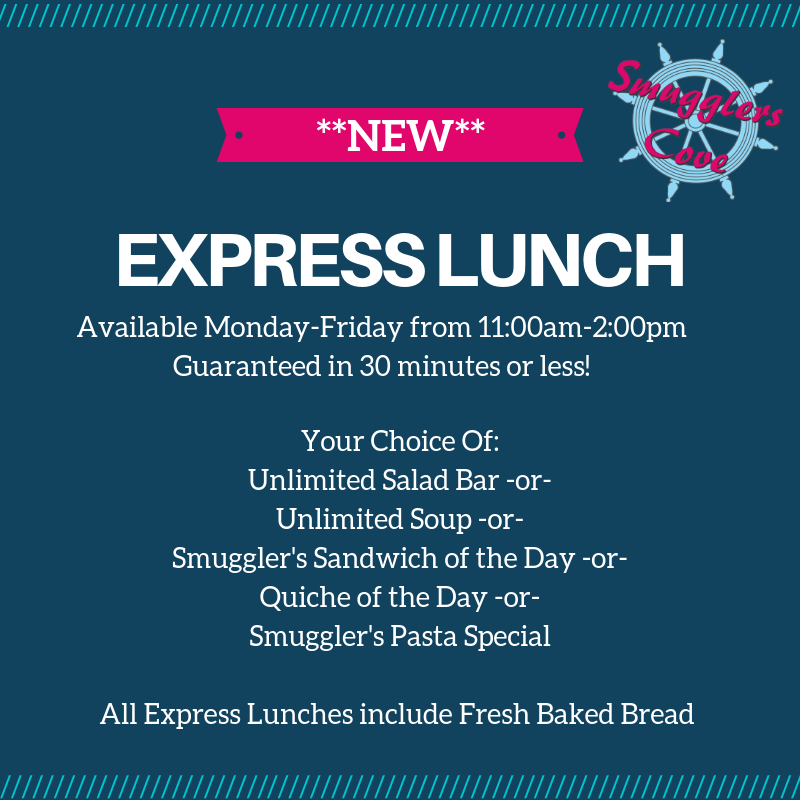 At our restaurant, you will be treated to delicious, homemade specials, fresh Atlantic seafood, juicy, tender beef, and made-from-scratch soups and desserts. 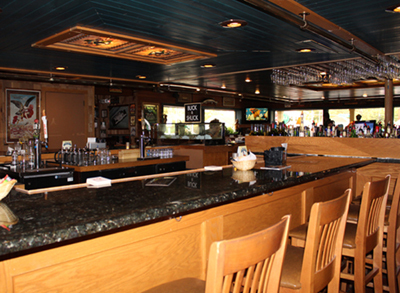 We also feature a fun, lively bar lounge, private dining rooms, a raw bar, award-winning salad bar and so much more. Make a reservation today! Smuggler’s Cove is honored to receive accolades over the years for our from-scratch sauces, homemade soups, and of course delectable seafood and choice beef steaks. 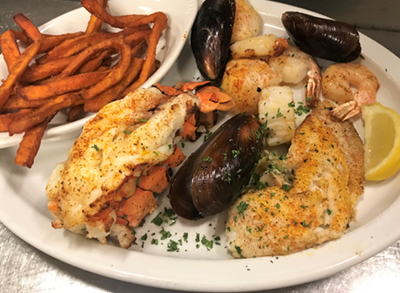 We were very pleased to be named the #1 Best Seafood Restaurant in the 2014 Pocono Record Reader's Choice Awards, and locally as Best Restaurant in Tannersville and the winner for Best Salad Bar. 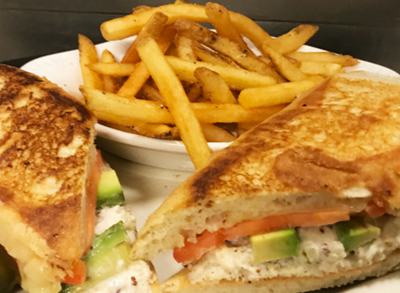 Come taste for yourself what the critics are talking about! The Best Meat & Seafood In The U.S.
Our mission has always been focused on offering only the highest quality seafood and beef selections, so our dedication to reputable suppliers is a hallmark of our menu offerings. All of our fresh catches of the day are indeed totally fresh, never frozen, and supplied to us direct from wholesalers in Boston several times each week. 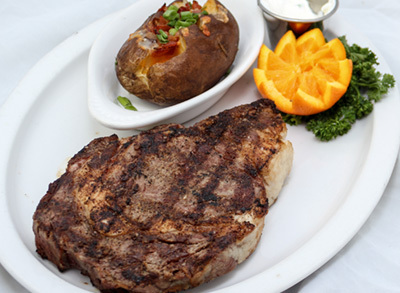 Our famous, mouth-watering steaks come from the established Allen Brothers out of Chicago.
" My work had our Christmas party there on Tuesday, December 20, 2016. I ordered the Crab bowl for $24.99 - not expecting such an amazing amount of crab for the price. Plus with that meal I got 2 sides!!! Everyone in our group was 100% satisfied with their meals and the service. Our waitress was awesome. She took the time to give each of us our OWN bill! You don't see that anywhere, when there's more than 5 people. She was superb! My boyfriend and I will be going back next week for a date night - Red Lobster who??? Yeah, never again now that we've discovered real seafood!!! Thank you Smugglers Cove!!! "